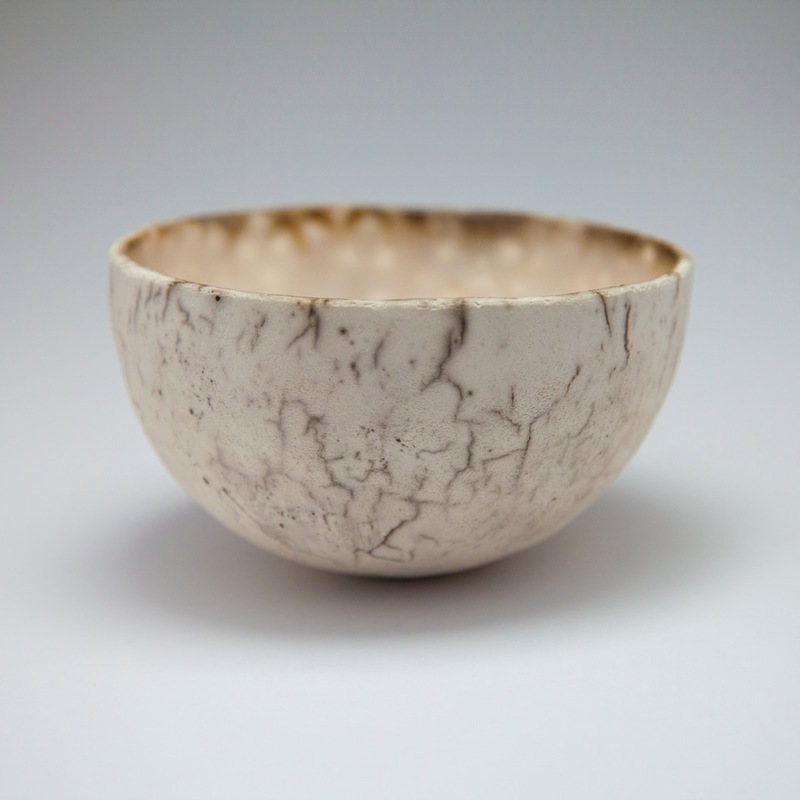 Karen Banks is a ceramic artist who expresses her love of the natural world and the vessel forms created by nature, by producing hand-built pieces with an organic quality, marked by the elemental forces of fire and smoke. Karen works in two clear mediums, ultra fine pinch pots that look so delicate and strong robust vessels that scream hug me! We also stock a range of Karen's cards. Karen originally studied Graphic Design and Natural History Illustration and discovered a feel for clay when she took up pottery evening classes in the mid-1980's. 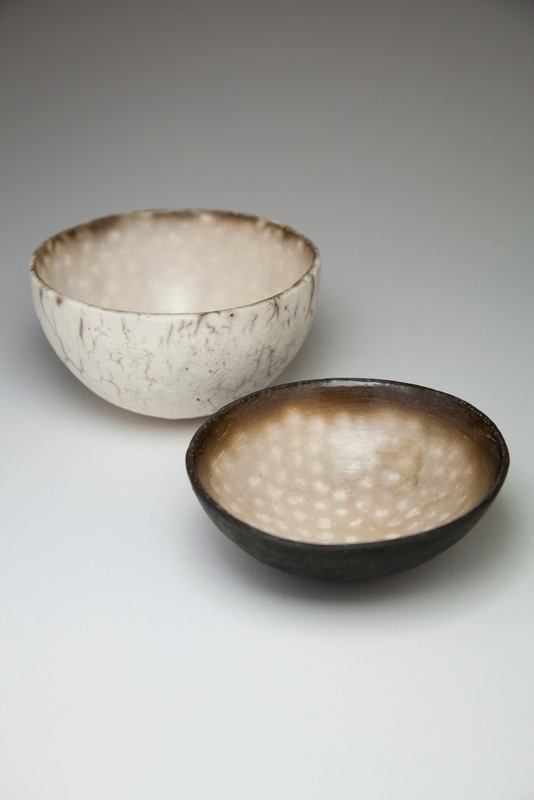 In the mid-1990s Karen made some discoveries that would dramatically change her work: The Fitzwilliam Museum with its amazing ceramics collections, the contemporary art gallery Primavera, and the work of two potters, Elspeth Owen and Jane Perryman. She was inspired by and in awe of the beauty and simplicity of the strong functional forms of past craftspeople, decorated only by the markings of the burnishing tool, the hand of the maker, and the effects of fire and smoke. 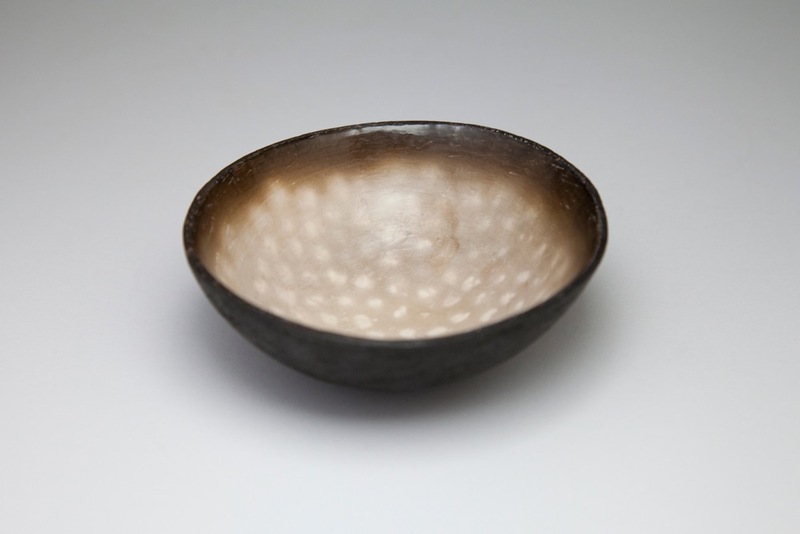 But it was attending a one week smoke firing course by Jane Perryman that ignited Karen's long-term vision and passion for using less glaze, preferring the warmth and tactile qualities of unglazed clay and committing herself to this way of firing. "The vessel is a constant theme in my work, as is the relation of the inside to the outside. I am interested in the contrast between the aged and weathered textures of the exterior walls of objects such as pebbles and shells, and their silky smooth interiors when exposed. For me, the experience of touching the vessel is as important as taking in its form. The curves of my large vessels are accentuated by the burnishing and polishing processes I use. 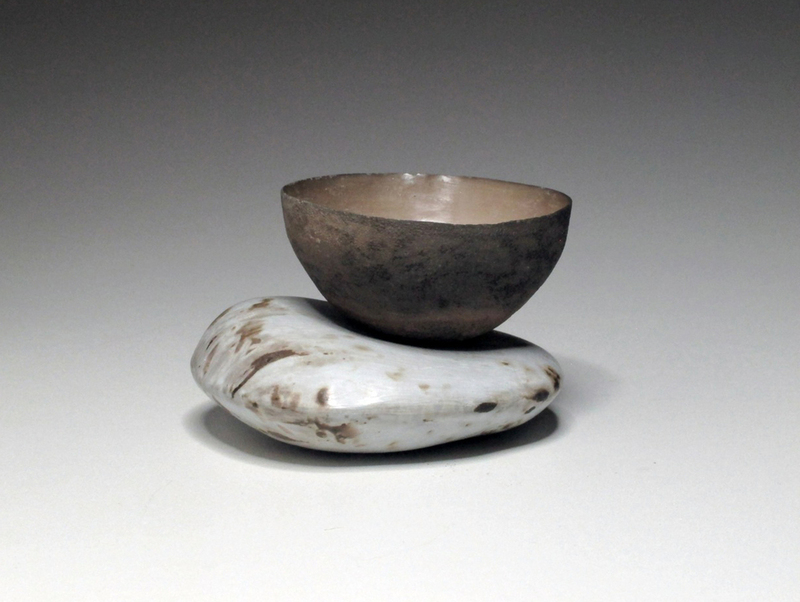 With the small vessels, it’s all about the contrasting tactile experiences, and the tension between their apparent fragility and ability to balance. I enjoy the unpredictability of working with fire and smoke, it enhances the organic and natural quality of the individual pieces. No two pieces are ever the same, only similar, as if part of the same ‘family’."